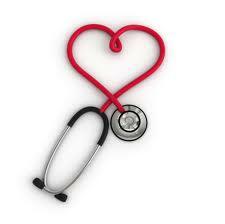 Welcome to the School Nurse's Webpage! Do you have a state mandated physical on file? This is different than a regular physical. If the exam was done 90 days prior or more from the first official practice, Did you fill out the Health History Update Questionnaire? Did you fill out the Concussion/Brain Injury and Sudden Cardiac Death in Young Athletes for 2018-2019 school year? These are the only forms the school nurse will collect, all other forms go directly to Craig Ellard or your child's coach. Preparticipation Physical Evaluation form must be filled out, this is state mandated NO other physical form will be accepted. The form has to be filled out entirely and then is submitted to the school physician for approval. Students WILL NOT be able to tryout if the form is not handed in on time AND approved by the school physician. If you have a Preparticipation Physical Evaluation on file and the exam was more than 90 days ago from the start of the first day of official practice a Health History update questionnaire(completed by student's parent or guardian only). A Concussion/Brain Injury and Sudden Cardiac Death in Young Athletes must be signed by athlete and parent/guardian, this is done once a school year. All these forms can be found under documents and forms on my website, any questions or concerns please call me at x 361. "School Nursing is a specialized practice of professional nursing that advances the well being, academic success and lifelong achievement of students. The unique contribution of the School Nurse lies in the ability to provide a comprehensive school health program that encourages the best possible health outcomes for each student. 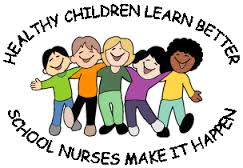 School nursing also teaches health concepts that enable students to make responsible decisions regarding their own health in the future. To that end, School Nurses facilitate positive student responses to normal development, promote health and safety, intervene with actual and potential health problems, provide case management services, and actively collaborate with others to build student and family capacity for adaptation, self-management, self-advocacy, and learning. The School Nurse also links the school health service program to the community. The first responsibility for the student's health and well being belongs in the family. However, School Nurses must have the assistance of the family in planning, implementing and evaluating the child's health care plan. In order to provide the support that is necessary, it is important to establish an open line of communication and maintain such throughout your child's school career."